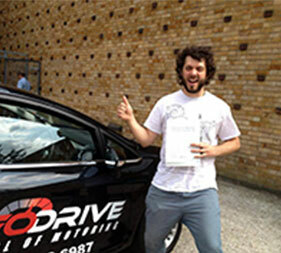 Top quality driving lessons from highly trusted driving school in Romford. Professional highly succesful teaching method based on expertly put together syllabus, driving lessons from the experts. Book your driving lessons with our driving school and you can qualify to get free theory test training from us. We will provide you everything you need to complete your theory test practice. 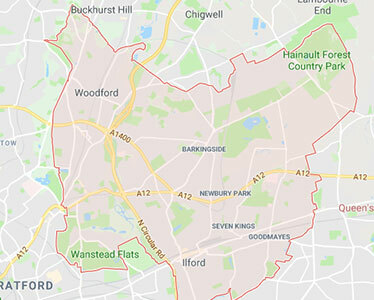 We have excelled in our mission to be recognised as the best driving school, providing quality driving lessons in Romford. With our team of expert driving instructors our school has become one of the most successful in the area. Our lessons are not just very effective but are also amazingly good value..
At Infodrive driving school, our aim from start was to become one of the most successful driving school providing high quality driving lessons. driving lessons in Romford. 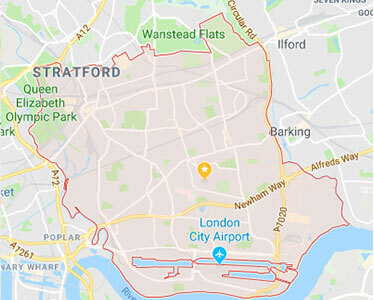 Our driving lessons are strictly based on standards set by the driving standards agency (DSA), making them the best possible driving lessons in Romford. We teach more than 300 students per week and have huge number of passes every month. Our driving instructors are on the approved driving instructors register at DVSA. We provide manual and automatic driving lessons in Romford as well as refresher lessons. Who are you going ot trust? I'm just speechless at the moment,it's an amazing feeling to have passed the test. I have very busy work schedule and constantly travel abroad, it would have been very difficult for me to sit this test again. I like to thank my instructor for all his efforts and giving me the skills to drive. GREAT JOB! 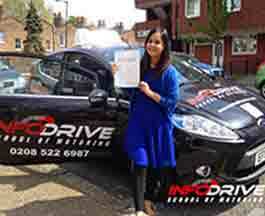 Infodrive driving school takes great pride in saying that we have some of the best driving instructors in Romford. We take many steps in selecting the right driving instructors to teach our students. Our instructors are also test regularly to make sure they are up to date with all the latest knowledge. Our driving will give you the skills and knowledge to drive with confident as a safe driver on these busy UK roads. Our driving instructors will also make sure you are given all the information and skills to pass the driving test with confidence. 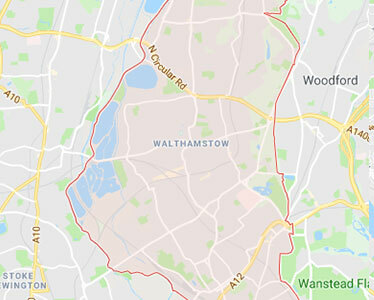 Our driving school services in Romford include automatic driving lessons in Romford, manual driving lessons in Romford, we alsohave refresher driving lessons in Romford, if you're looking to pass your driving lessons quick then book our fast track driving lessons Romford, all offers subject to availability in Romford, DVSA certified driving instructors Romford, top rated driving lessons Romford, all cars are fully maintained and insured, alldriving instructors are CRB checked by the Government. Book your driving lessons in Romford with London's premier driving school. Stratford, Plaistow, East Ham, Forestgate, Beckton, Canning Town, Manor Park, Silver Town, West Ham, Upton park, Mary Land and Custom House. 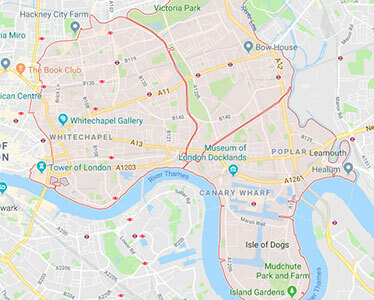 Mile End, Whitechappel, Shadwell, Isle of Dogs, Docklands, Poplar, Shorditch, Stepney Green, Bethnal Green, Bow, Bromley By Bow, Limehouse and Wapping.